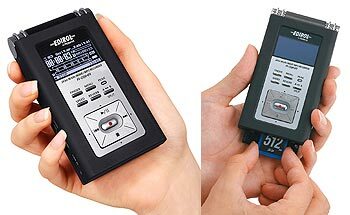 Previously marketed under Roland's Edirol branding the R-09HR has become a standard in hand-held solid state sound recording. If Edirol's previous best-selling R-09 defined the art of the digital audio notebook, then the R-09HR refines it and takes it to a new level. In both features and performance. You can really feel the the depth of quality in its handling and feel. 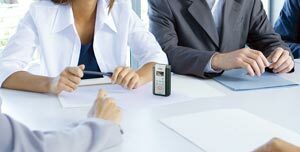 The R-09HR is an innovative personal recorder that you can use in a host of situations. 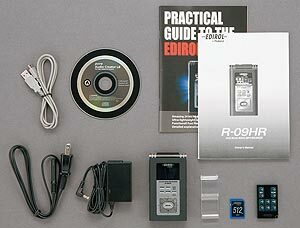 For musicians who want to experience precise audio reproduction of live music and rehearsals, the R-09HR is ideal. For songwriters, whenever that moment of inspiration strikes, it ensures you can instantly capture that magical idea. For broadcasters, soundmen, journalists and podcasters, the R-09HR enables you to sample audio for the world to hear with superb detail and clarity that belies its low cost. Experience precise audio reproduction and clarity with a wider dynamic range when using the higher bit & sample rates that the R-09HR offers. The R-09HR supports up to 24bit/96kHz linear PCM recording, which has over twice the digital audio resolution of a standard audio CD. IARC is a newly developed, dedicated analogue circuit optimized for recording with the R-09HR's onboard A/D converter. 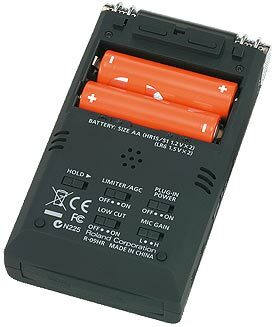 Electrolytic capacitors provide stable, reliable power with an independent power source for the analogue circuitry, and another power source for the digital circuit board, thus eliminating DC interference between components in the R-09HR. 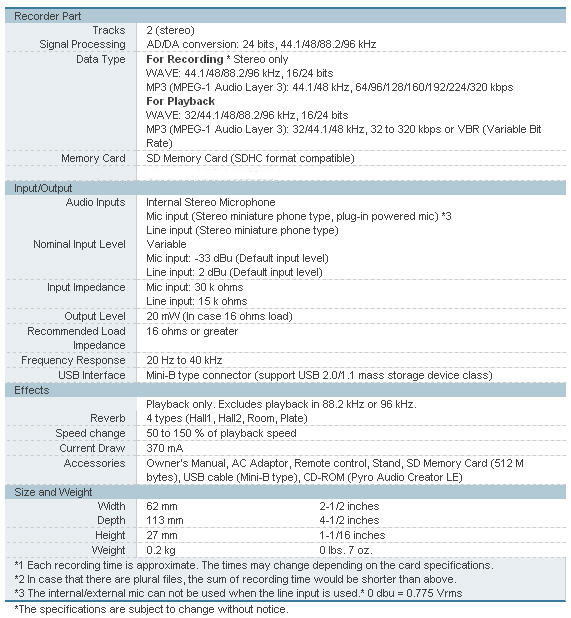 The IARC also contributes to higher quality, lower noise .mp3 recording with the R-09HR. Small enough to fit in a shirt pocket, the R-09HR has a new tactile feel that is easy to grip. It also has a user-friendly graphic display for ultra easy operation. The large 1.5" OLED (Organic Light-Emitting Diode) display provides wide viewability, at-a-glance level meters, peak indicators, and additional recording information on the screen. 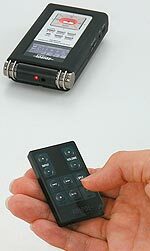 Without headphones you can easily check your recordings thanks to the preview monitor speaker in the rear panel. The R-09HR comes with Cakewalk’s PYRO Audio Creator LE CD-ROM. This software is perfect for WAV/MP3 audio file editing. To trim cut, or fade audio sections, to burn audio collections to CD, publish a web page with sounds, to publish a blog with audio, to podcast an interview or performance, and so on. With PYRO the R-09HR package becomes truly a complete recording solution suite from recording to CD-burning. Cakewalk PYRO Audio Creator LE is compatible with Windows XP/Vista/7. 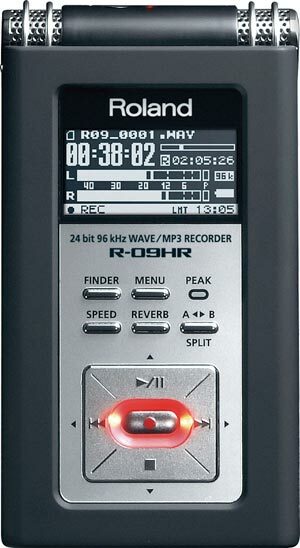 Perfect for many recording applications from rehearsals, recitals, concerts, interviews, podcasts, research, photo journaling, law enforcement, to nature and field recording, and business meetings, the R-09HR's list of optional accessories are useful to pros and novices alike (scroll down this page to our Edirol R-09HR Webshop for details).